Justice League: The More The Merrier! Justice League – (L-R) Aquaman (Jason Momoa), Wonder Woman (Gal Gadot), The flash (Ezra Miller) and Cyborg (Ray Fisher) – Photo courtesy of Warner Bros.
Justice League maintains the portentous/brutalist look that director Zack Snyder set for the DCEU, but following the few faint glimmerings of wit in Suicide Squad and Batman v Superman – and the wit, charm and adventure of Wonder Woman – the film maintains the levels of danger and conflict from earlier DCEU films while making a point of balancing its darkness with genuine fun. NYCC 2017 – We Have to Go Trailer: Justice League! Earlier today, Warner Bros. dropped the final trailer for Justice League. It still has the kind of ponderous feel of a Zack Snyder film, but is leavened with some very potent humor (personally, I’m going to see Justice League for Aquaman’s somewhat flip attitude and zest for battle, alongside The Flash’s geeky awe and enthusiasm). Justice league opens on November 17th. Dressed Like A Bat. I Dig It! Trailer: Justice League! The loooonnnnng awaited Justice League trailer is here. It’s moody and Zack Snyder ponderous, but with some actual humor and wit. Combined with the previously released Comic-Con footage and it could be very interesting – maybe even really good. There’s also a new poster. Zack Snyder Unveils Justice League’s New Bat Suit! As any long time Batman fan can tell you, Batman has a number of suits beyond the standard scare-the-crap-outta-the-bad-guys-night-time-avenger uniform. There are suits for deep sea, outer space and many more. Zack Snyder has just revealed a new Batsuit from Justice League and it looks like a serious tactical suit – sporting goggles and much heavier looking armor. In short, it’s kinda bad@$$. Check it out after the break. Bringing People Together Trailer: Batman v Superman: Dawn of Justice! The new trailer for Batman v Superman: Dawn of Justice features a number of notable moments: Clark Kent meeting Bruce Wayne; Lex Luthor being a genial (maybe too genial) host; a really good look at Wonder Woman, and the reason for that glimpse of Zod we saw in the first trailer, among others. In any event, the new trailer is infinitely better than the ponderous first trailer – though it does look like it could either be goofy spring/summer fun, or potential MST3K material. Check it out following the jump. World’s Finest Trailer for the Trailer: Batman v Superman! So, is anyone tired of the whole trailer for the trailer thing, yet? That said, the trailer for the trailer of Batman v Superman: Dawn of Justice is way cooler than the pompous, ponderous trailer from Comic Con in July. Check it out after the jump. 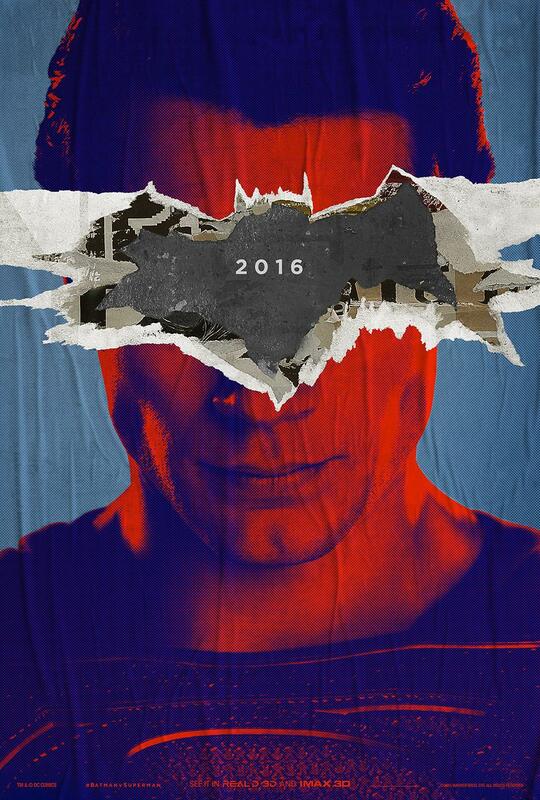 Batman v Superman: Dawn of Justice opens on March 25th. The new trailer premieres on Jimmy Kimmel Live on Wednesday. Twisted Posters: Superman v Batman: Dawn of Justice! Zack Snyder has released two posters for Superman v Batman: Dawn of Justice – and they are dark & twisted, as you can see frm the Superman poster above. Follow the jump to check out the Batman version. Superman v Batman: Dawn of Justice stars Henry Cavill, Ben Affleck, Amy Adams, Laurence Fishburne, Diane Lane, Jesse Eisenberg, Jeremy Irons, Holly Hunter and Jason Momoa. It is directed by Zack Snyder from a screenplay by David S. Goyer. 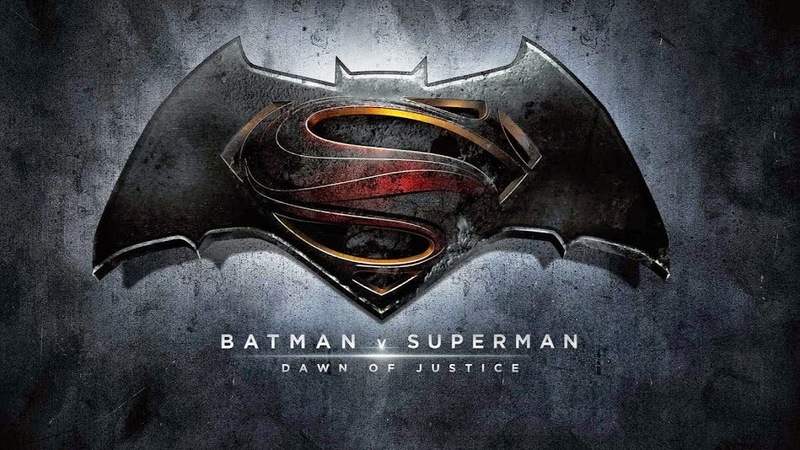 Superman v Batman: Dawn of Justice premieres on March 25th, 2016. Dark Night Of Superheroes Trailer: Batman v Superman: Dawn of Justice! After someone in Mexico posted a pirated copy of the Batman v Superman trailer, DC and Zack Snyder responded by making it available online in its full, in focus, deeply dark entirety. Check it out after the jump. 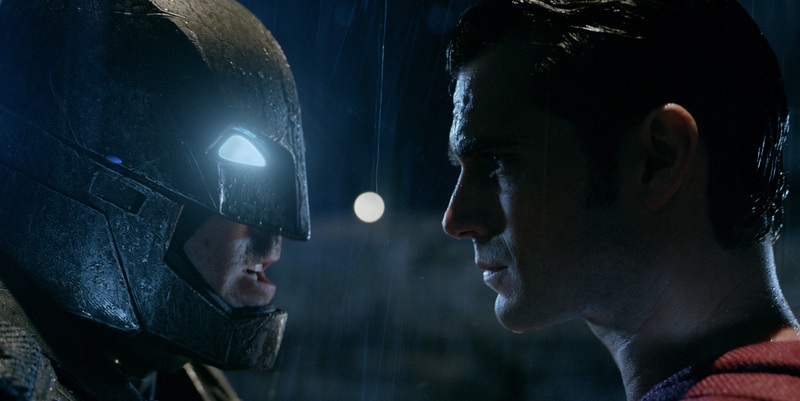 Batman v Superman: Dawn of Justice opens wide – very wide – on May 25, 2016. 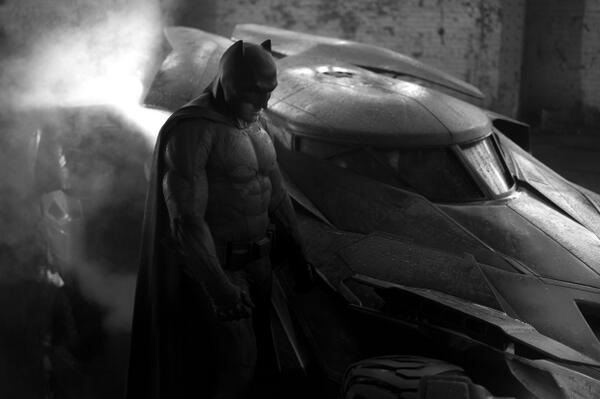 Batman v Superman: Dawn of Justice: Bruce Wayne Is a Hero, Too! You never know what you’ll find on YouTube. Today it’s a four-minute video of Bruce Wayne being a hero in Batman v Superman: Dawn of Justice. I can’t imagine that the scene is a huge spoiler for the movie, but it is indicative of how the character of Bruce Wayne is being portrayed. You can check it out following the jump. 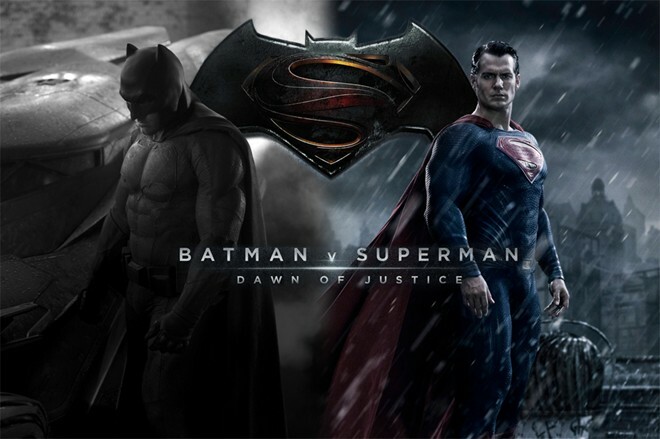 Batman v Superman: Dawn of Justice is scheduled to premiere, head-to-head with Captain America 3, on May 6, 2016.